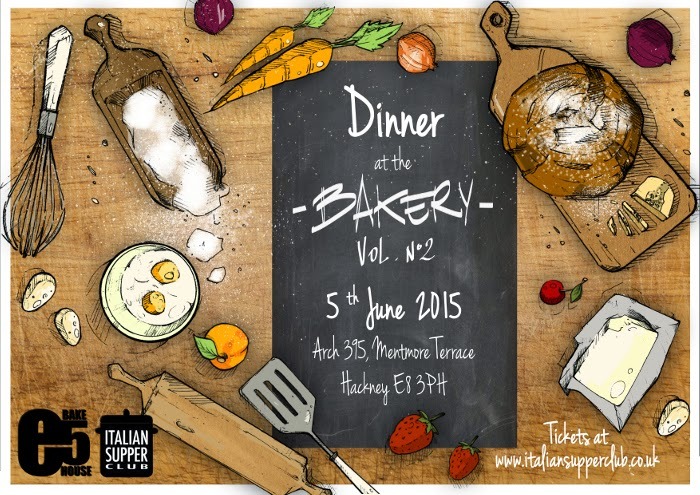 The Italian Supper Club's June supper takes place at The E5 Bakehouse (in E8...) on Friday 5th June, their second visit to the venue. Expect some great Italian cooking, great Italian wines, and a very friendly atmosphere - just 24 seats - all for £37.50. "We are very happy to announce our second collaboration with our friends at the E5 Bake House, they've got a refreshed backyard so, weather permitting, expect a nice aperitivo al fresco! A selection of fantastic Italian wines will be available for you, as usual only true gems, nothing mainstream."